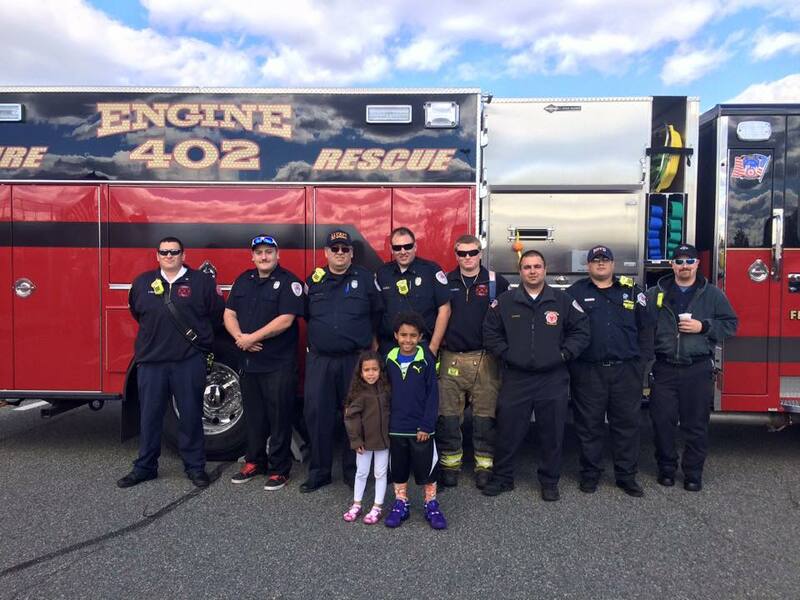 Members of MPFD, as well as Madison Park First Aid, and Old Bridge Auxiliary PD, attended and escorted the children of Madison Park and their parents in the yearly Halloween parade. 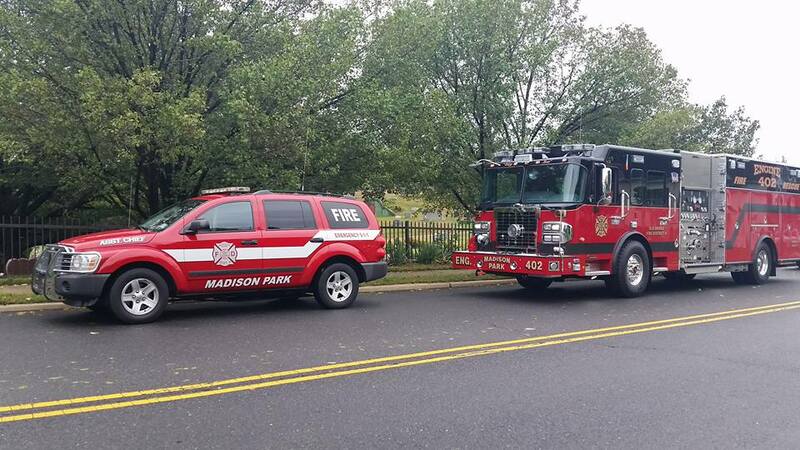 Today the Madison Park Fire Company and District 4 fire prevention bureau participated in Home Depot’s annual safety day. 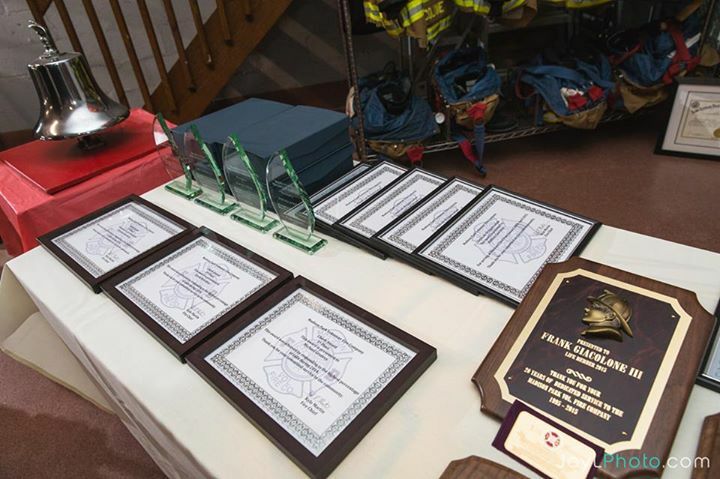 We would like to thank our crews for the day Chief Kyle Martin, Fire Marshal Frank Giacolone , Assistant Chief Ken McLaughlin, Captain Thomas Alfrey , Lieutenant Robert Conklin , Fire Inspector Jim Craig and Firefighters David Kerchner, Keith Scheetz, Michael Graves , Joseph Dinkelacker, Charley Haggerty for all their hard work to make today a success. 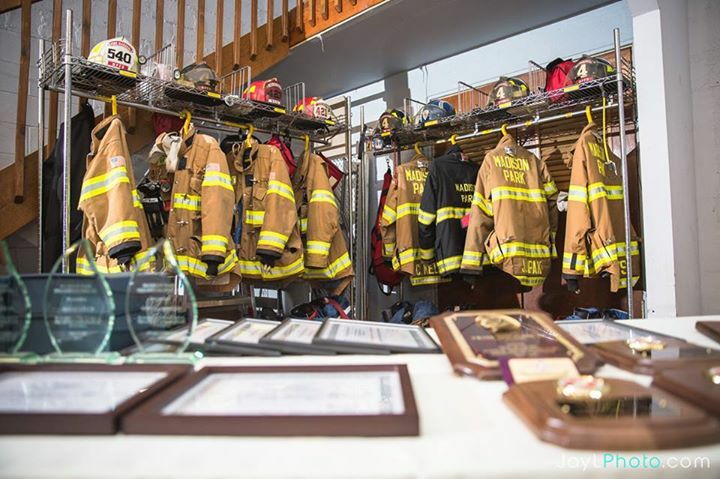 We would also like to thank all the other departments who were present including South River Fire Department, Division of Forestry, Cheesequake Fire Prevention and everyone else who was present. 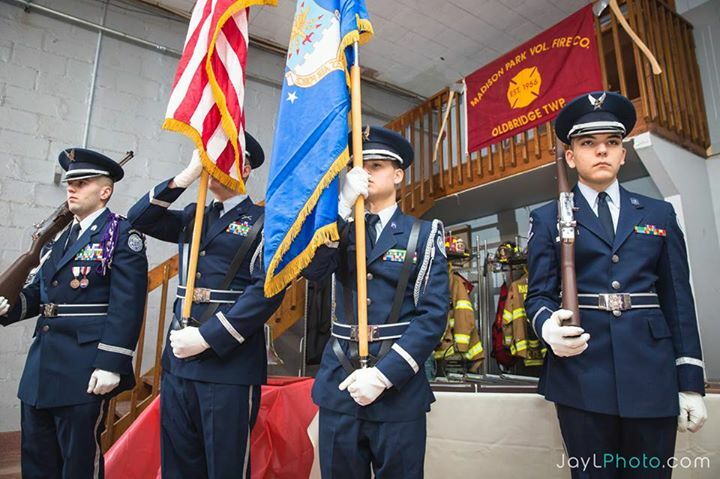 This is just one of the many pictures sent to us today from the visitors to the event. 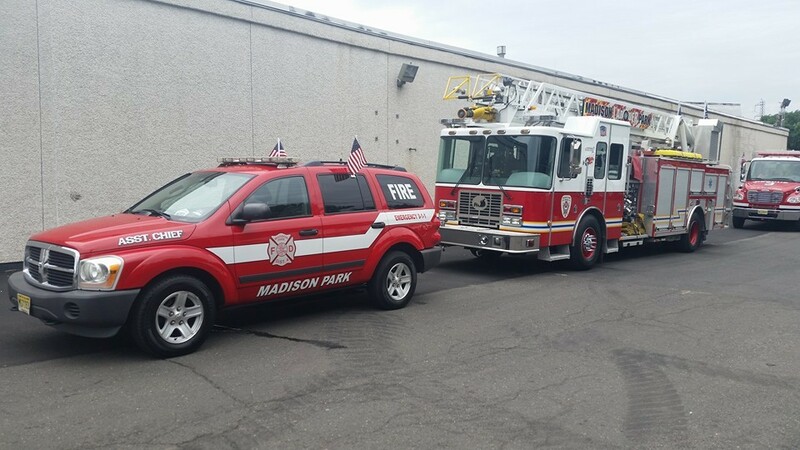 Approximately 1700 Hours on July 22, 2015, Madison Park Fire Company was dispatched to assist the township of North Brunswick on a major ware house fire that was burning since 0200 hours and had surpassed a fifth alarm. 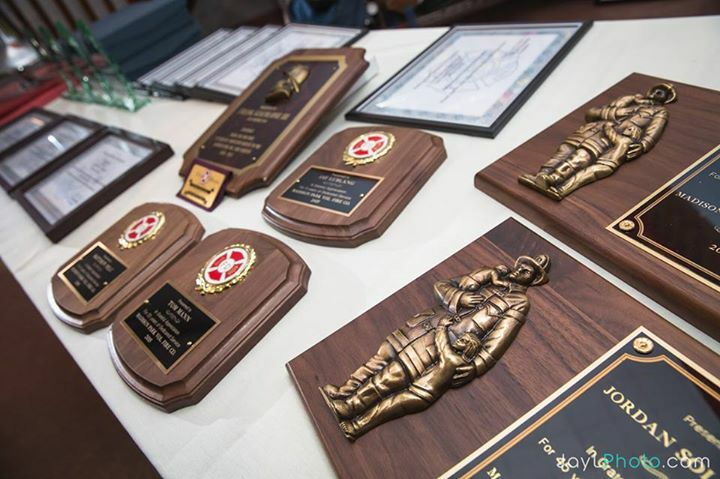 Engine 407 responded to the call with Assistant Chief Ken McLaughlin, Captain Thomas Alfrey, Firefighter Mike Greaves and Firefighter Joseph Dinkelacker. 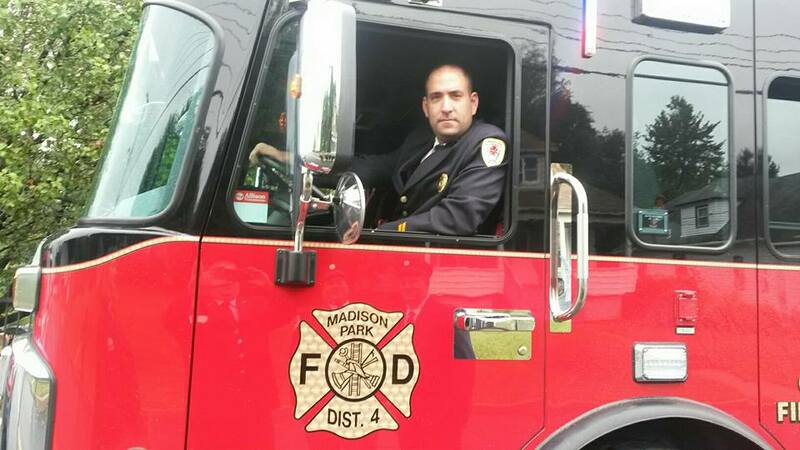 Other members of the fire company remained in the Madison Park area to staff engine 409 in the event of another call. 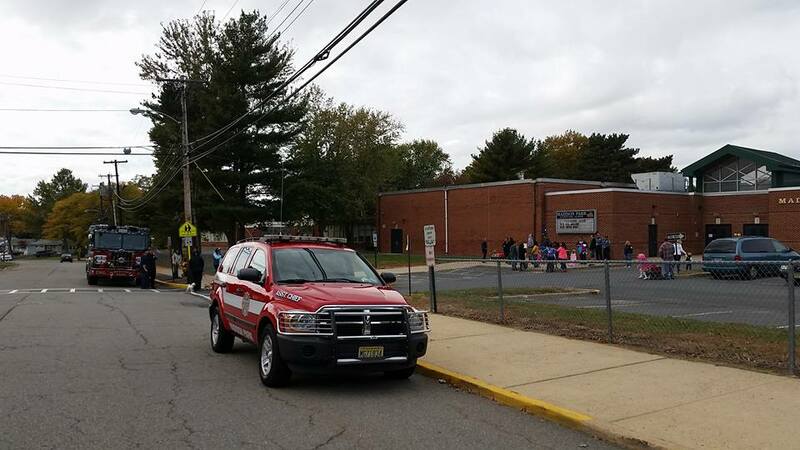 Assistant Chief McLaughlin and Firefighter Dinkelacker entered the structure and assist crews from New Brunswick and several other area agencies in extinguishing the fire. 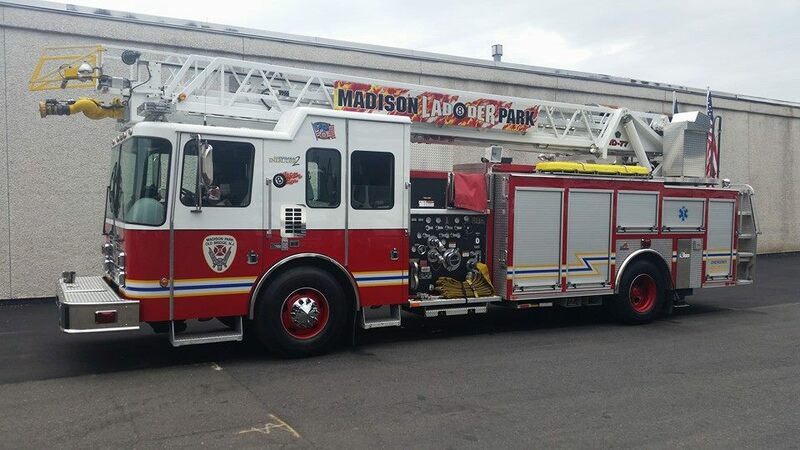 Engine 407 finally returned to Madison Park at around 0600 hours on July 23rd. The crews who attended this fire and those who remained in district did a great job. 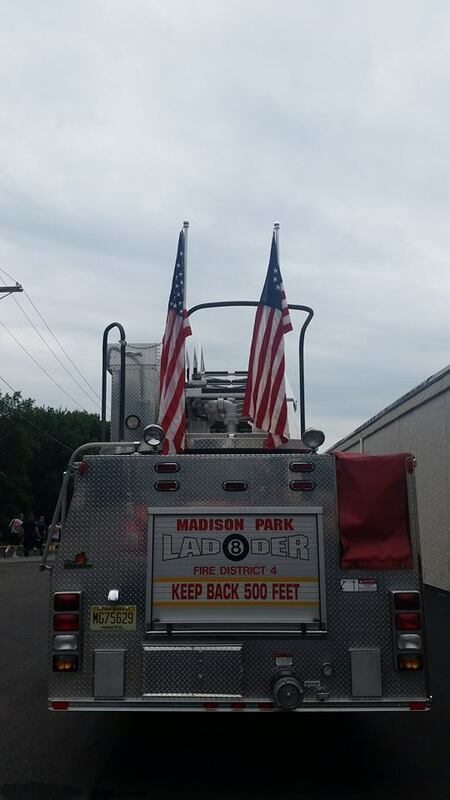 On Saturday July 4, 2015 Madison Park Fire Company participated in Milltown’s annual 4th of July parade. 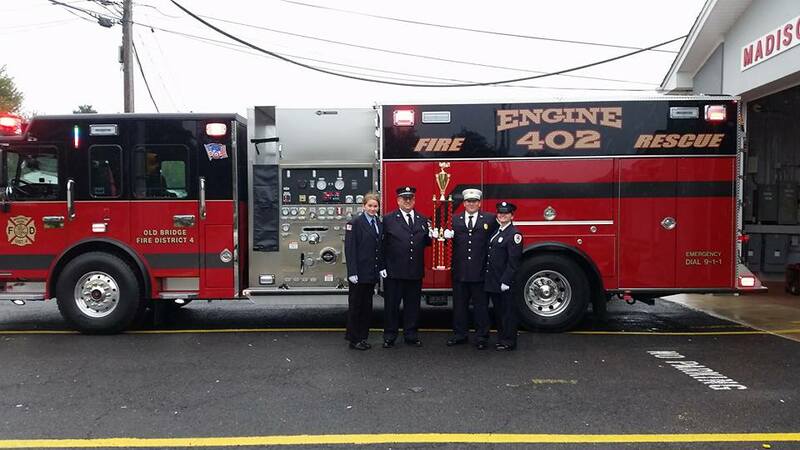 Assistant Chief Ken McLaughlin drove Car 420 and Ladder 408 was staffed by Captain Tom Alfrey, Firefighter Mike Greaves, Probationary Firefighter Charley Haggerty and Junior Firefighter Rebecca Alfrey. 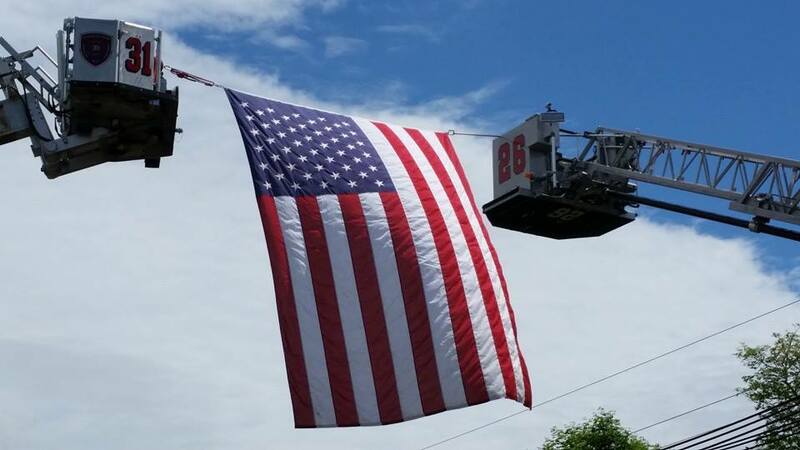 As always we wish everyone a Happy and Safe Fourth of July. 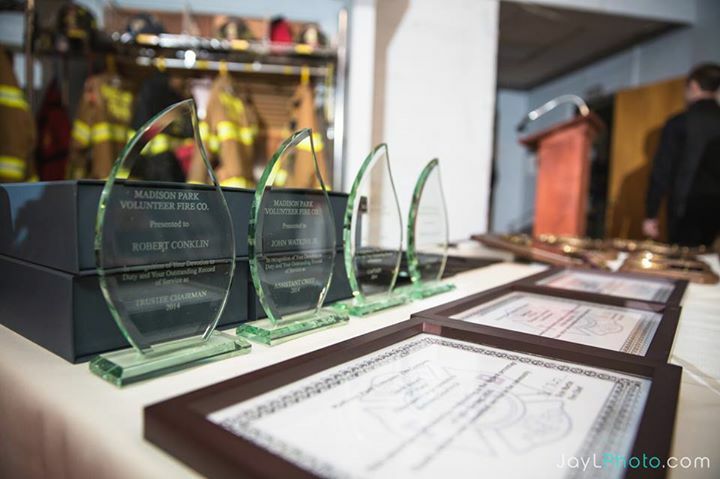 On May 3, 2015 the members of Madison Park Volunteer Fire Company provided support the Jimmy Moran Memorial motorcycle run, which began at the Middlesex County fire academy, and ran through multiple towns. 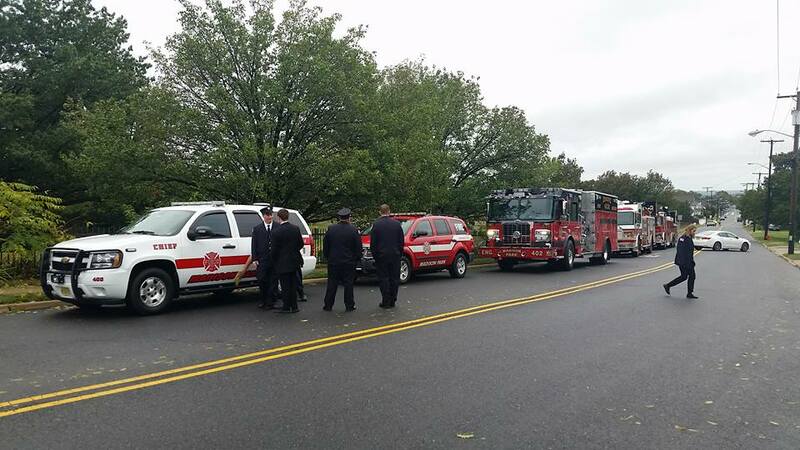 Engine 407 and Assistant Chief 420 set up on Bordentown Avenue to assist with the remembrance of South Amboy Firefighter Jimmy Moran, an avid motorcycle enthusiast and dedicated family man who was lost to cancer too soon. They ride to commemorate his love of riding and love of life. 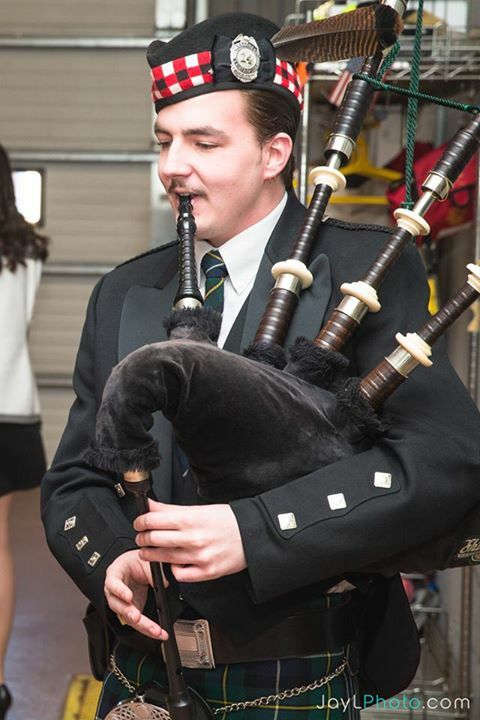 Rest easy brother. 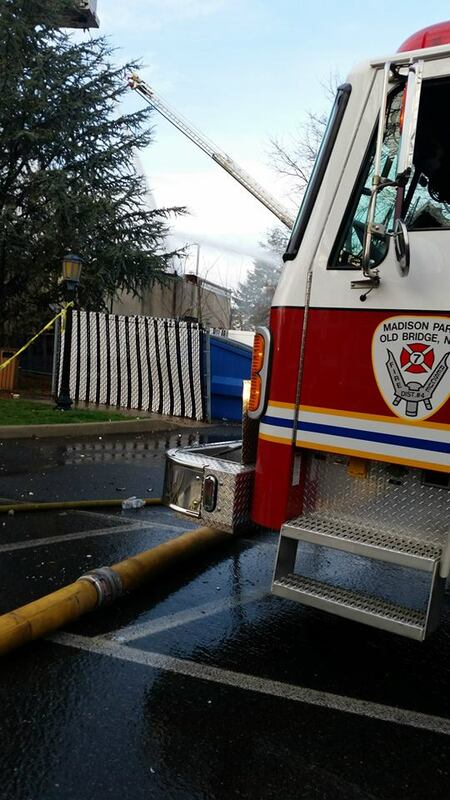 On April 21, 2015 Madison Park Fire Company was dispatched to a kitchen fire on Princeton Rd. 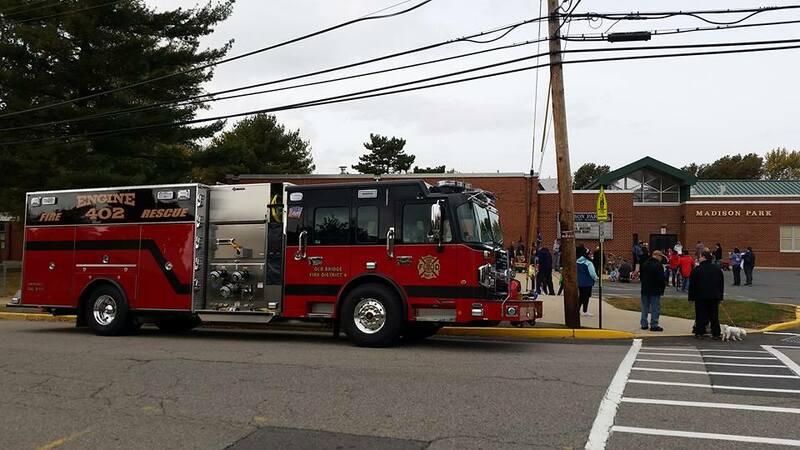 Chief 400, Assistant Chief 420, Engine 407 and Ladder 408 responded to the call. All occupants evacuated safely and the fire as extinguished with minimal damage to the structure. 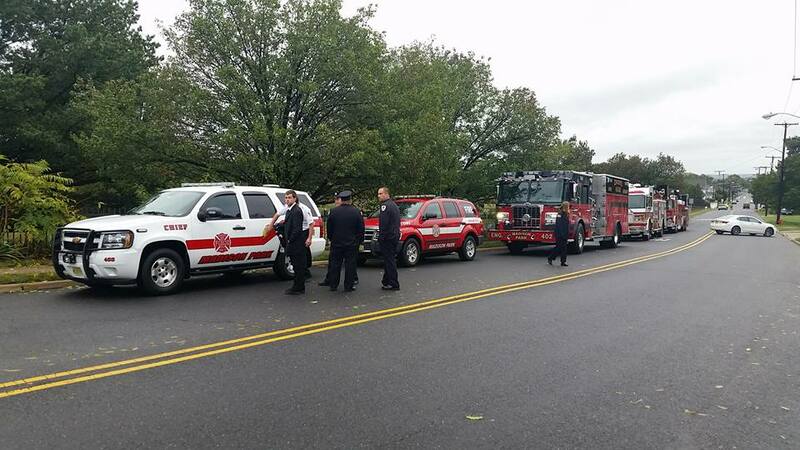 As always a great job was done by all responding members. 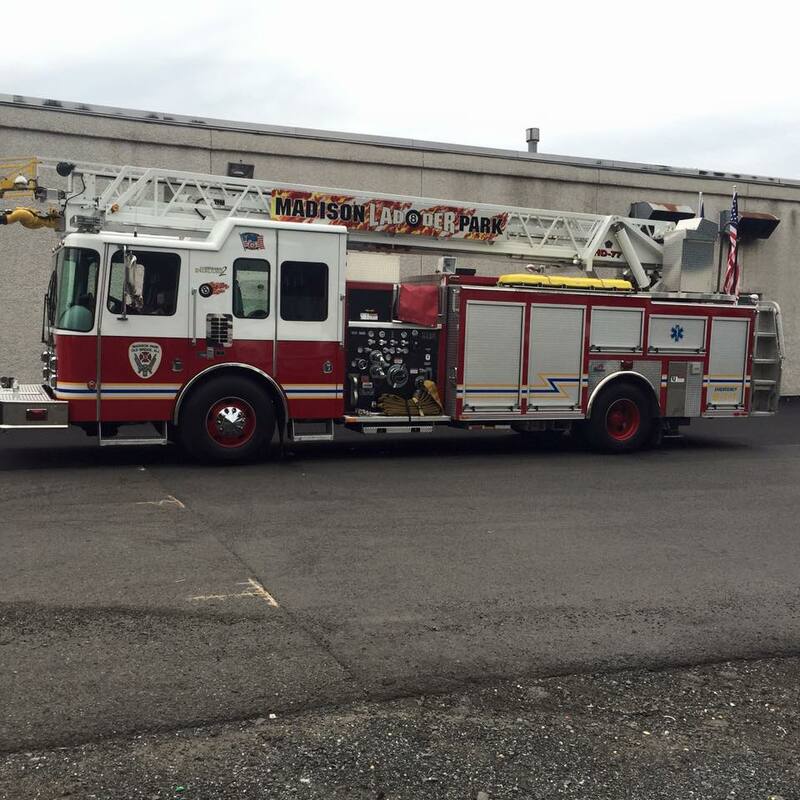 On Monday, April 13, 2015, MPFD was dispatched into South Amboy for mutual aid for a structure fire, Ladder 408 was requested to cover South Amboy FD Independents station with Laurence Harbor FD Engine 104. 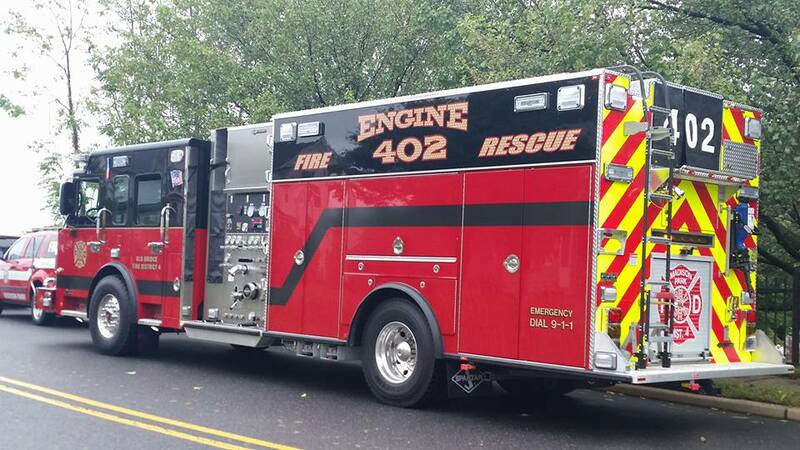 Shortly after that, Engine 407 was requested for the County’s request for an LDH strike team, with MPFD as the staging area. 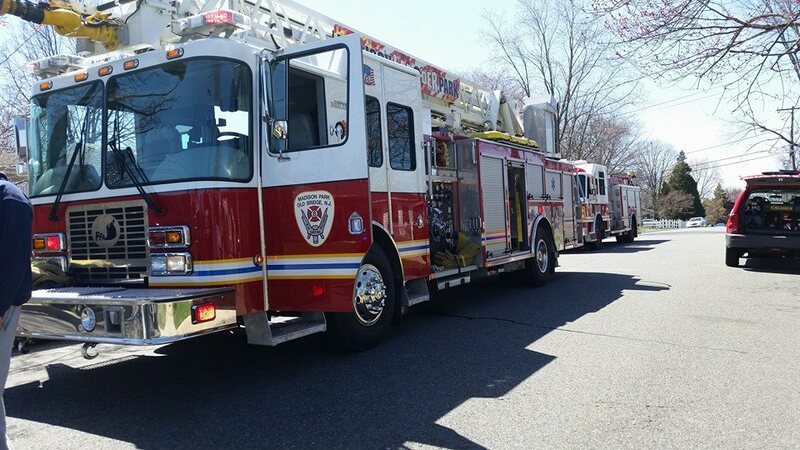 Engine 407, South Old Bridge Engine 311, Spotswood Engine 71-4 and Laurence Harbor Engine 105 were sent from our station into South Amboy for the assignment to assist the multiple other departments already on scene. 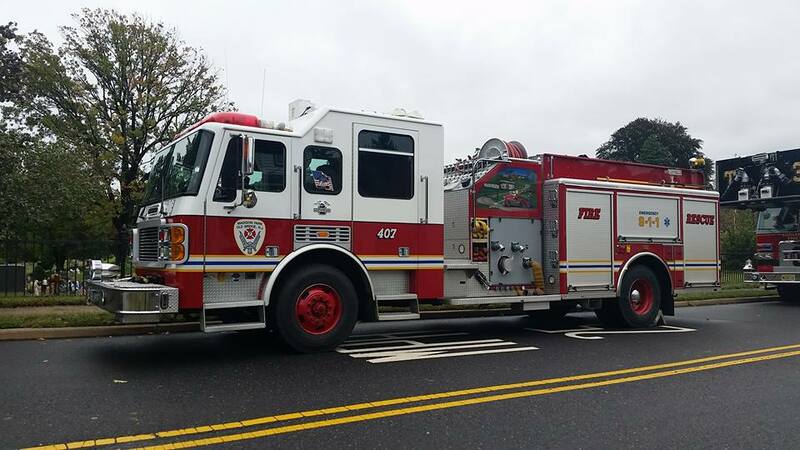 Engine 407s crew provided suppression assistance throughout the afternoon and late into the Evening. 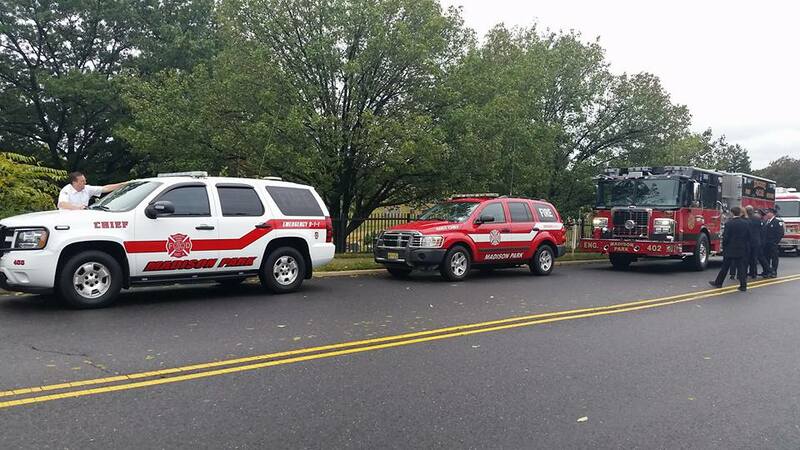 Ladder 408 and LHFD Engine 104 responded to one activated fire alarm (false alarm) while covering the remainder of South Amboy during the incident. 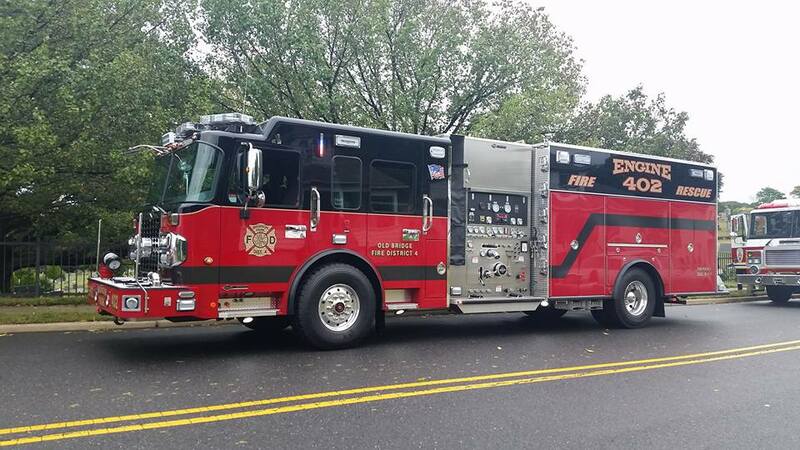 After most of the companies on scene were released, 408 was moved up to the scene with Engine 104 to replace the crews that had been there all day to continue flowing water into the structure to extinguish remaining hot spots. 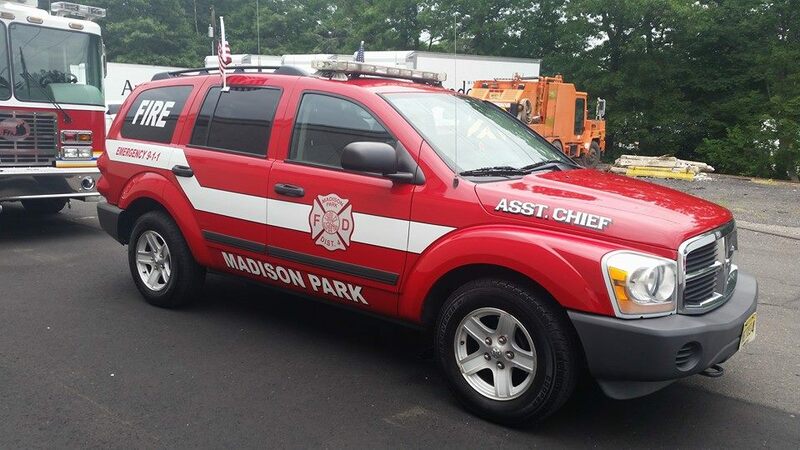 All Madison Park units were released and back at the station by midnight. 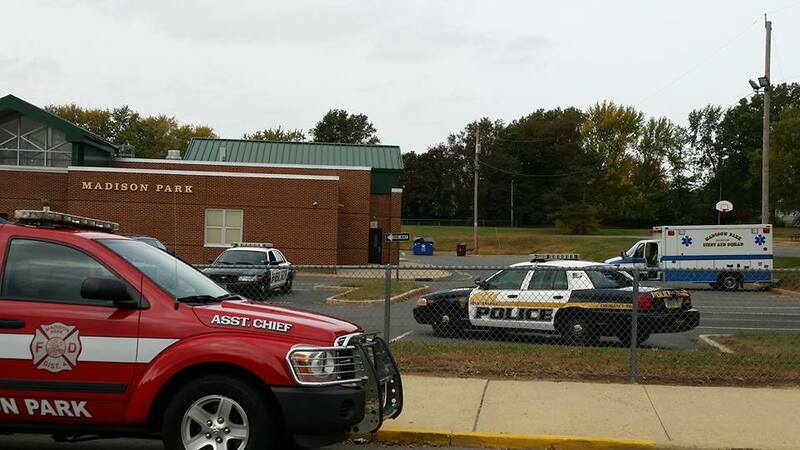 A great job was done by all departments on scene. 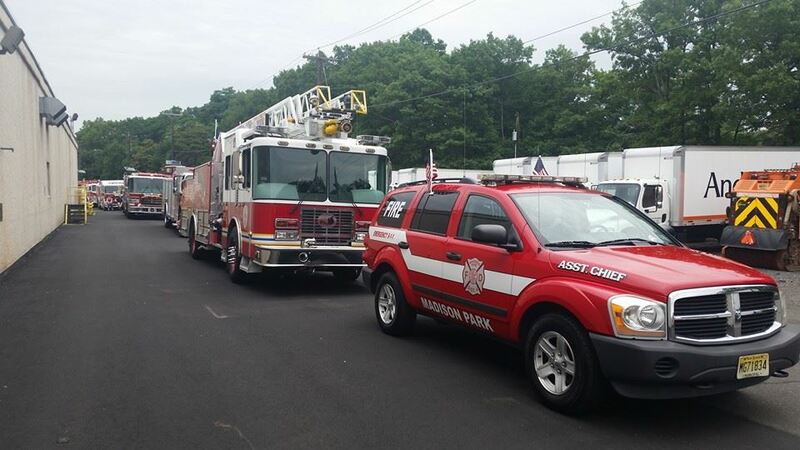 MPFD is always ready and willing to answer another Depts call for assistance and this call is a great reminder on how well all departments work together to acheive the objective and most importantly, everyone went home. 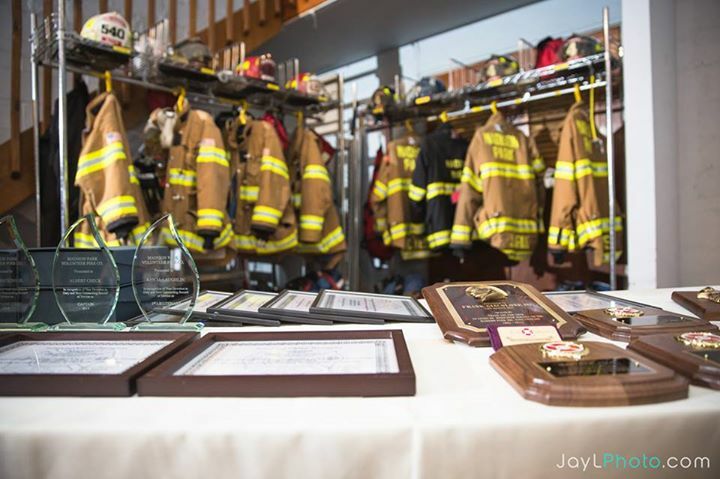 Check out the Photos page for more photos of the event. 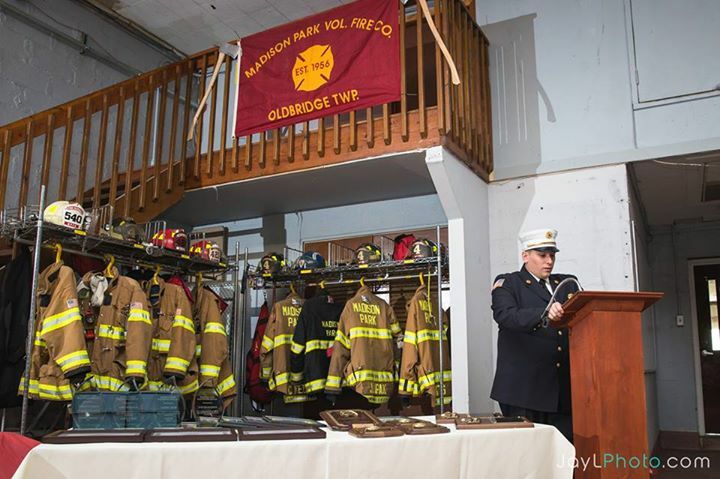 On Saturday February 21, 2015 the Madison Park Fire Company held a open house and annual installation dinner for the incoming and outgoing line and executive Officers. 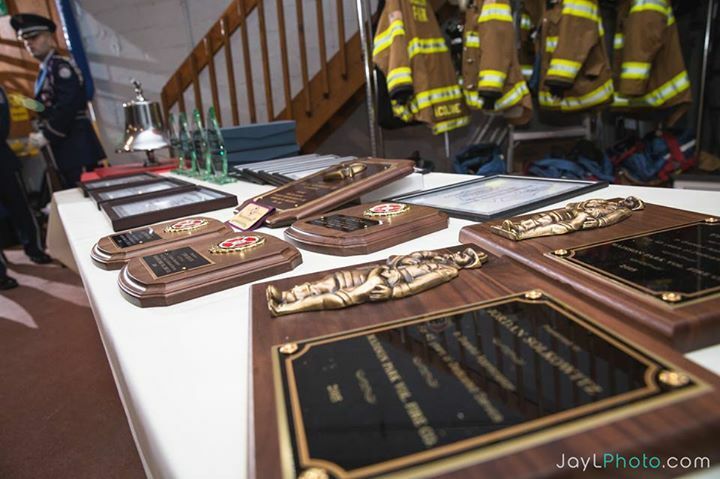 We would like to mention the following members who were recognized during the dinner. 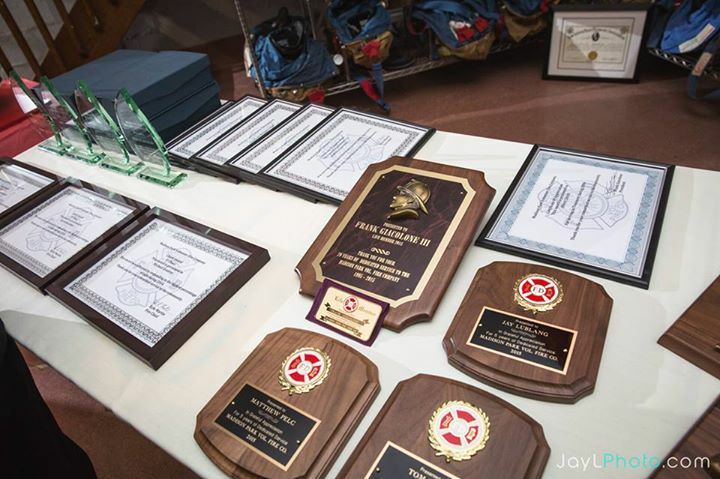 Charley Haggerty – Outstanding service as a Junior Firefighter. Check the Photos page for more pictures of the dinner.